On Memorial Day, I thought about the losses of life world-wide from war and I’ll focus on the losses during World War II. It took the effort of several nations to win. Some weren’t our allies, but their efforts as they struggled for survival aided the cause. 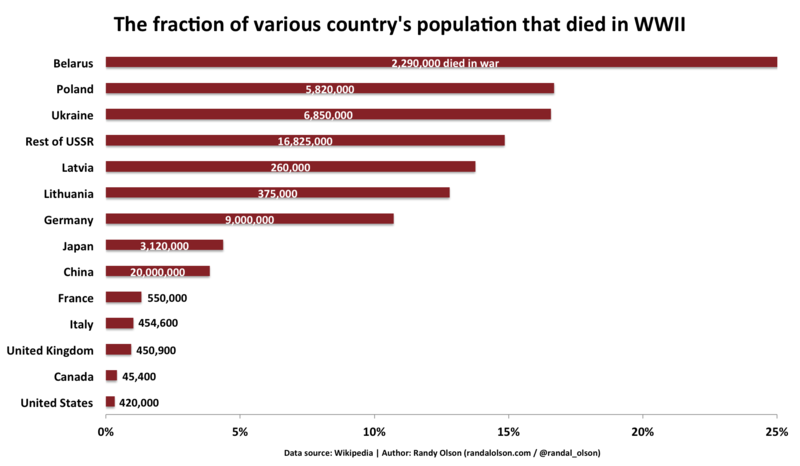 The United States helped, but just look at the numbers lost from other countries compared to the US and United Kindom. I respect the losses from every country, for many of these were civilians who would rather have lived in peace. As I write the next few paragraphs, please understand that ideology takes a back seat when people are fighting for survival. It is the herculean effort to save their country — no matter what their personal ideology — that I’m talking about. 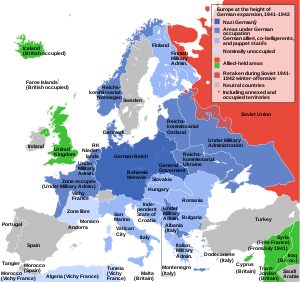 Russia had signed a non-aggression treaty with Germany in 1939, and Germany broke the treaty in 1941. Without the indomitable will of civilians and soldiers to resist the Nazi’s in conditions that would kill most of us, Germany may have had a chance to perfect the atomic bomb before the USA, as well as a means to deliver it further than the missiles that hit Britain. Just as every other American seeped in the belief that the USA jumped into the war and saved the day, I laughed it off. (July 17, 1942–February 2, 1943), successful Soviet defense of the city of Stalingrad (now Volgograd), Russia, U.S.S.R., during World War II. Russians consider it to be one of the greatest battles of their Great Patriotic War, and most historians consider it to be the greatest battle of the entire conflict. It stopped the German advance into the Soviet Union and marked the turning of the tide of war in favour of the Allies. We have not adequately recognized the contribution that USSR/Russia made toward winning WWII. Instead, we vilified their efforts to ensure that such a horrific war would never happen again. …and isn’t understanding the first step toward peace? What the Russians endured in WWII is very hard to fathom. We got bombed here, a lot, but Russia was invaded, facing the conquest of its cities by a ruthless enemy. We need to remember that. I wasn’t taught the truth in school. We were told that the USSR was the “evil empire.” We were told that Europe was losing and the USA saved the day. Not only are our children and grandchildren unaware of the Russian people’s contribution to WWII, many don’t know what a Nazi is. I’m so appalled. A lot of countries will manipulate history for their own ends. It’s a powerful tool of control. Fantastic blog sis. Most do not know any of this. They are some huge numbers. Historically speaking the world is quite peaceful right now (although it is hard to fathom when you watch the news). John Lennon said it best – “Give peace a chance”.